Learn how to create an RSVP Page in WordFly. WordFly RSVP Pages allow you to collect yes and no responses for your event, as well as any other important information. Find out how many guests an attendee is bringing, ask about dietary restrictions, and confirm as many other details to ensure your organization is ready to host an event. Publish your RSVP Pages and watch event responses load in the Results page. Easily export your data as a CSV file to use for your event management needs. When you create a new page, multiple files are saved into a media folder for that page. These are called Page Sets. An RSVP Page Set consists of three HTML pages + CSS files: Form, Confirmation–Yes, and Confirmation–No. The RSVP Form page has an RSVP block and a Submit block that are required for the page to post data. These form blocks can be moved around in the design but cannot be deleted. The RSVP Form page can have unlimited Form blocks added to the design. Add checkboxes, radials, dropdowns, and open text areas. Any Form block can be marked as required and can have a view state set to show either when the user clicks Yes or No. Modify design styles from the STYLESHEET > General Styles or All Blocks to carry styles through the whole RSVP Page Set. Easily link to any other published Pages when adding URLs to your RSVP Page design. Click Browse Pages to view all Pages. The RSVP Settings page will give you access to the main form and both confirmation pages, testing link and publish link. The Results page will include a CSV download drawer to quickly export all the user events collected. 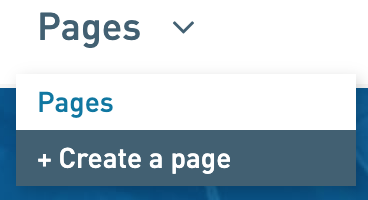 Go to Pages > Create a Page to create a new RSVP Page. 2. Click Select under the RSVP Page icon. 3. Give your RSVP Page a name and click Continue. 4. From the RSVP Settings page, select Edit for one of the page sets to begin editing your design. Pro Tip: Work on your RSVP Form first. 5. Build your RSVP Form page using Modern Editor. Any form block can be shown or hidden based on the different view states. Tip: Use a container to hold multiple form blocks and set the view state on the container level. For example, pull a container over for Yes and one for No and then place all form blocks into these containers, setup styles, and then modify the view states of the containers to show for clicked Yes or Clicked No. 6. Test your View States (clicked Yes or clicked No). In the editor, there are two options for testing. Option 1: Hover over the top of the preview panel (right side of the editor). Check Default, Yes or No to update the view state of your preview panel. You can then test the form from this view state. Option 2: Open the full screen mode by clicking the arrow down the center of the editor. In this mode you will be on the default view state and can click either the Yes or No button to test. 8. Click Edit for Confirmation-Yes or Confirmation-No to continue designing (if needed). From the RSVP Settings page, you can test your RSVP Page Set using the Testing URL. Use this URL within your organization to test your page in multiple browsers before you publish it. Fields can be filled out, but the data will not be saved. 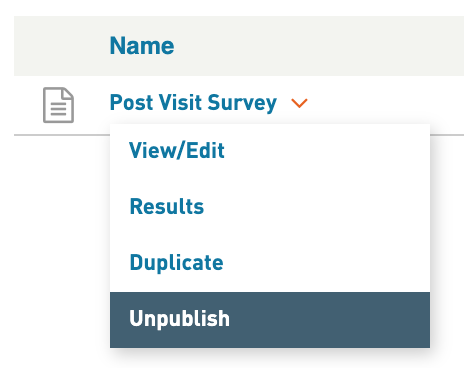 From the RSVP Settings page, click on the Publish button to make your pages live. Confirm you would like to make your page set live by clicking Yes from the confirmation dropdown notification. The Public URL is the URL your subscribers will see. Use this URL in an email or on a Landing Page to link to your RSVP page set. Any data entered from the public URL will be saved and accessible from the RSVP Results page. To disable a live page set click on the Unpublish button from the RSVP Settings page. Once a page is unpublished the public link will no longer be available and a default unavailable page will display if the link is accessed.